The 2016 Kenya Premier League race is going to be a close race. With six matches left, the playing unit will need fans to throw their weight behind them. Skipper Musa Mohamed has stated that fan support has been a significant key to victory in the last two matches. With that in mind, fans should make their way back to the terraces to help carry the team as the league goes to the final sprint in what promises to be a photo finish. The club can do its part by perhaps lowering ticket prices significantly and aggressively promoting matches. Let us make the 12th man count ! What happened to the crowds? But even as Musa Mohamed lauds the fan base for helping push the team in the last two games, he must be wondering what happened to the massive crowds he first witnessed when he joined the club back in 2009. 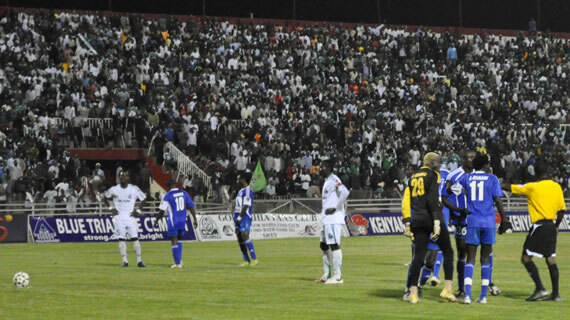 The years between 2009 and 2011 saw the highest crowds that Gor Mahia has seen during this millenium. Even midweek matches would cause Nyayo stadium to be packed to the rafters. Such was the case when Gor Mahia played Sofapaka in a tense midweek encounter in 2010. And this was during a period when Gor Mahia had gone 15 years without winning a league title and a top 5 finish was a huge achievement. Yet back then the fan support was more passionate and attendance was impressive. It seemed like it was just a matter of time before Kogalo started recording crowds like those that were seen in the early 1980s. This a starke contrast to what is happening today. 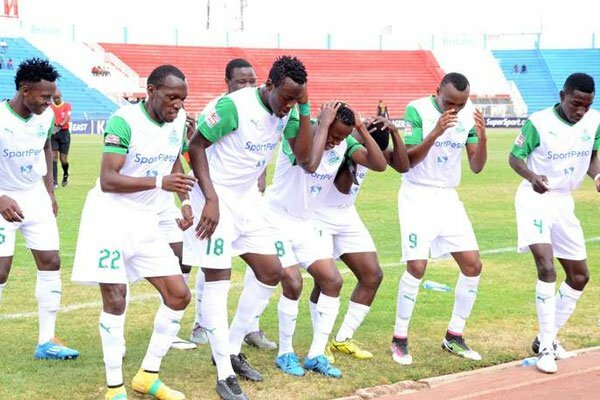 Now Gor Mahia have won the league three times in a row. Last year the club won the league unbeaten. So you would think the crowds would be even larger than they were in 2010. Yet the exact opposite is true. You now see Gor Mahia playing at Nyayo stadium with vast swathes of the stadium unfilled. Such was the case last weekend when Gor Mahia played Chemelil at Nyayo. Recent incidences of insecurity are the key factor in falling attendance. There have been some terrible incidences including one where a fan died. So much so that most people now see attending a Gor Mahia of AFC match as taking your life in your hands. In January Gor Mahia announced enhanced security measures including adding plainclothes policemen and jail cells within the stadium. But all this was undone when a handful of fans wreaked havoc in the match against Tusker costing Gor Mahia 3 points. How did this fan cause so much havoc if there is extra security? Not only should Gor Mahia enhance security in and around the stadium to prevent such incidences, but the club should also seek to re-assure the public that because of the extra security, the stadium is now a much safer place. And the club must re-assure the public that this security will be in place whether Gor Mahia is the host team or not. There used to be a buzz around Gor Mahia matches. The stadium was considered a hip place to be. Politicians would be seen occupying prominent positions at the main stand. The Kenya tourism board would encourage tourists to attend matches. As such it was not uncommon to see hoardes of tourists at matches. Some of this happened because the club was getting good publicity. For example the report below by Mike Okinyi of citizen sports was one among many that sent neutral fans scampering to the stadium. That report was like solid gold for attendance. Such positive coverage was a key reason that attendance was soaring. This positive coverage no longer happens. Nowadays every news report is about hooliganism. Many of the young ladies you see in that video have been discouraged by their parents from attending matches. Aside from anti-hooliganism measures, the club can publicize positive aspects of the team and the playing unit. Gor Mahia has international calibre players like Tuyisenge and a coach who played for Brazil. These are just two aspects that can be used to market the team to potential fans. It is up to the club to bring this buzz back. Partner with news outlets to create positive stories. For every story about hooliganism, the club should work hard to create positive stories. The club’s fans have dug a deep hole in terms of public relations. Its now up to the same fans and the club officials to come up with creative ways to restore the club’s image and make the stadium a hip destination again.